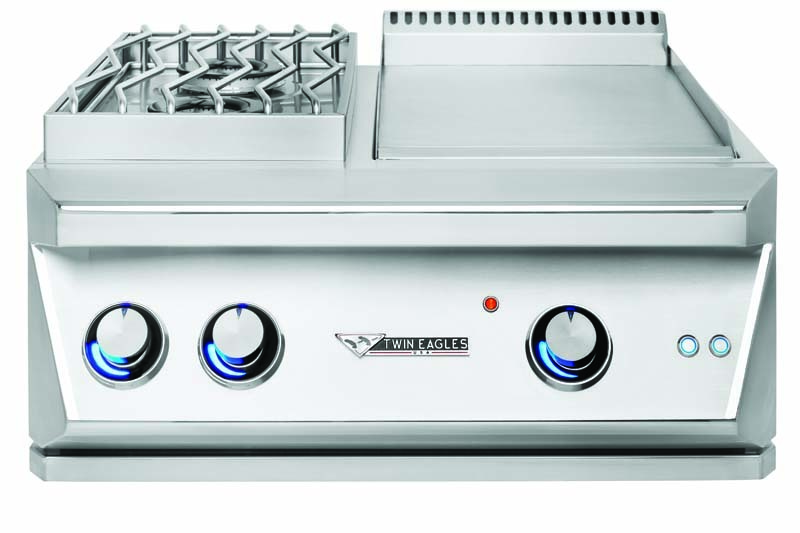 The American Outdoor Grill T-Series drop-in double side burner easily installs into any custom grill island and is perfect for cooking or reheating side dishes and sauces. 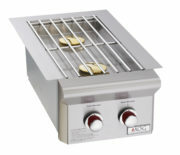 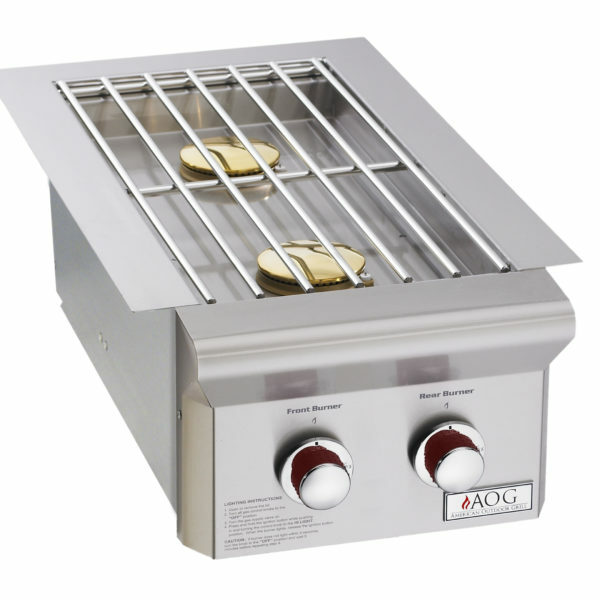 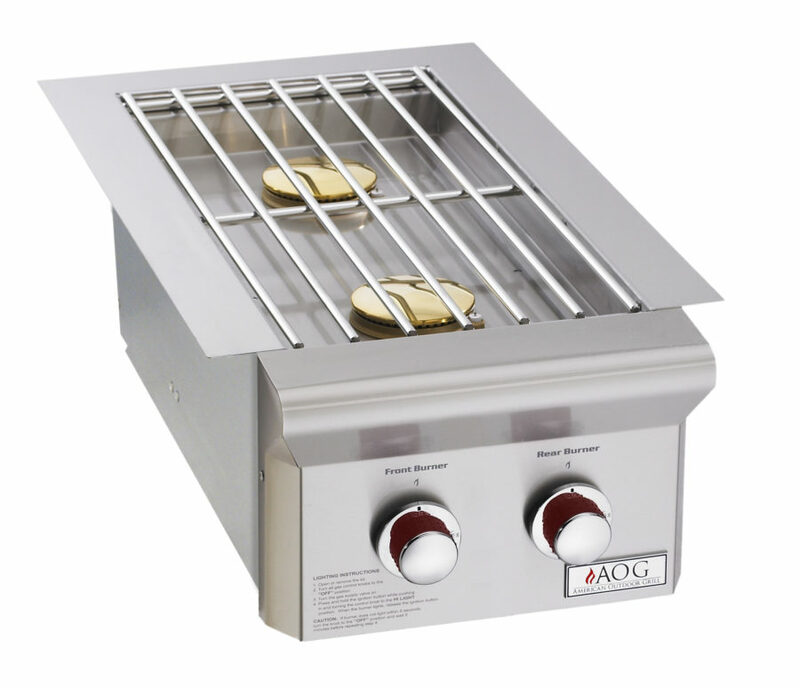 This heavy-duty double burner features 304 series stainless construction, stainless steel grid, stainless steel cover, and two 12,500 BTU brass burners. 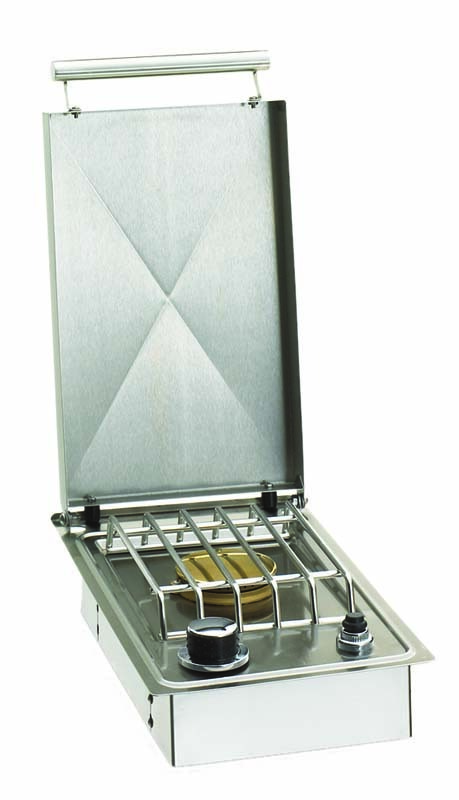 The brand-new Piezo Rapid Light ignition fires you up that much quicker with no need for electricity or batteries. 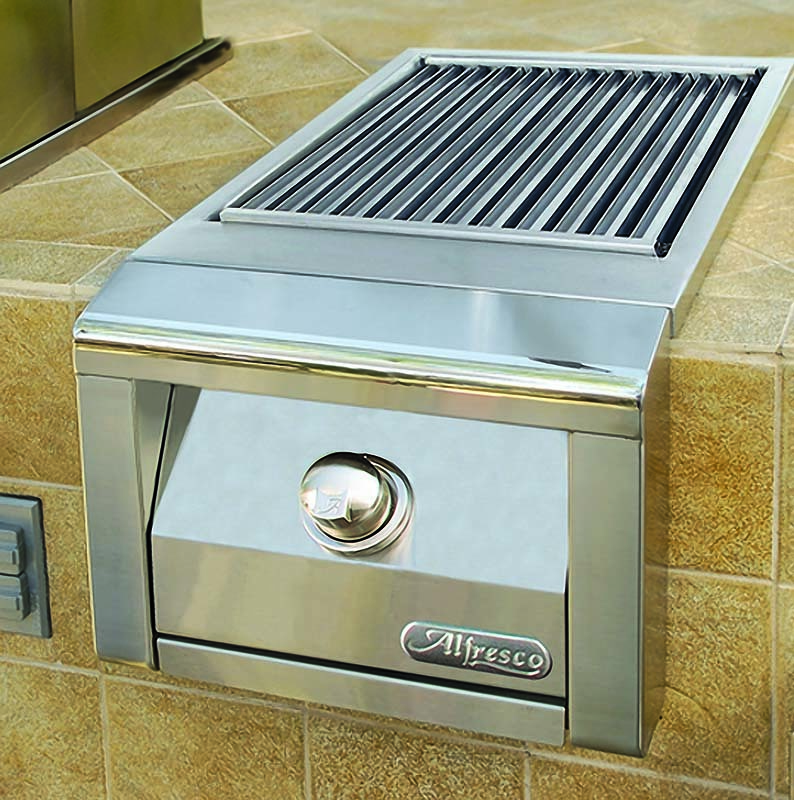 No insulated jacket required for combustible installation. 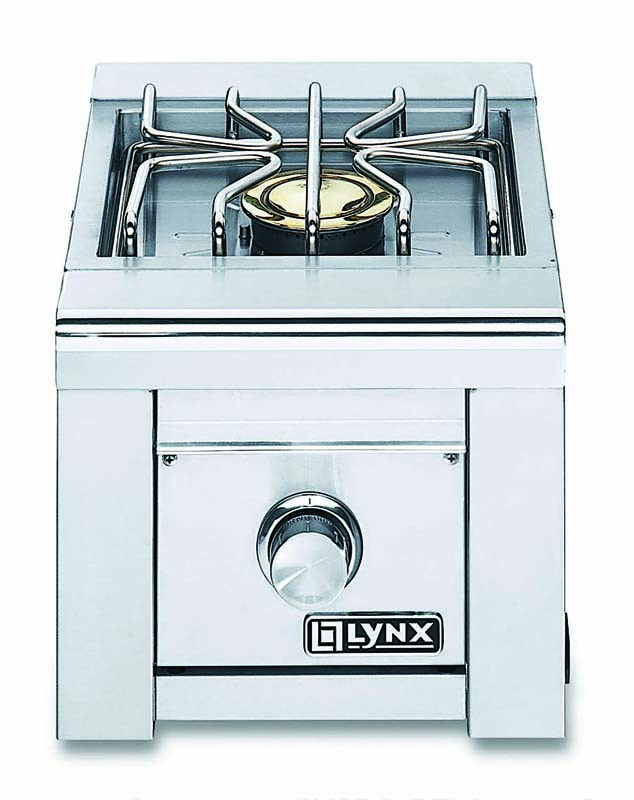 This side burner ships as Natural Gas with Propane Conversion fittings.